Our Art and Design students are showcasing their talents at the a print exhibition in The Cooper Gallery until 20 May. The artwork selected has been chosen for its range of limited edition contemporary prints using lino cut, wood cut, mono-print, etching and collograph. 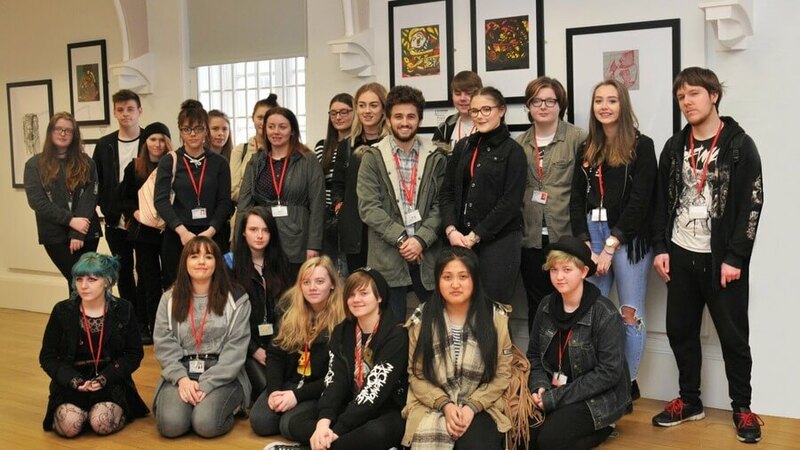 The inspiration for the artwork arose from a visit to the Picasso exhibition at The Cooper Gallery which provided students with an opportunity to come up with creative and engaging artwork. As group we then had to pitch our work to The Cooper Gallery which gave us experience of working with a client and a brief.